While Pantone’s Color of the Year is essentially baby pink and sky blue, many interior designers are bringing a trend of their own to light for 2016. And what they are bringing to light is very, very dark. Black walls go with everything. 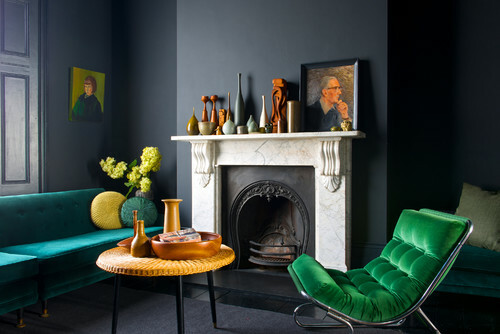 If we told you to paint every wall in your living room black, and that you were going to love it, would you believe us? When we found this living room, its asphalt walls in flat enamel felt stately, inviting, and modern—three words that hardly ever go together. Yet here it is, a room that pops with warm jewel tones that can’t wait for you to have a seat. And something lovely to drink. Accent in a whole new way. Deeply hued rooms do for accents what their bright white counterparts simply can’t; they allow them to completely stand on their own. 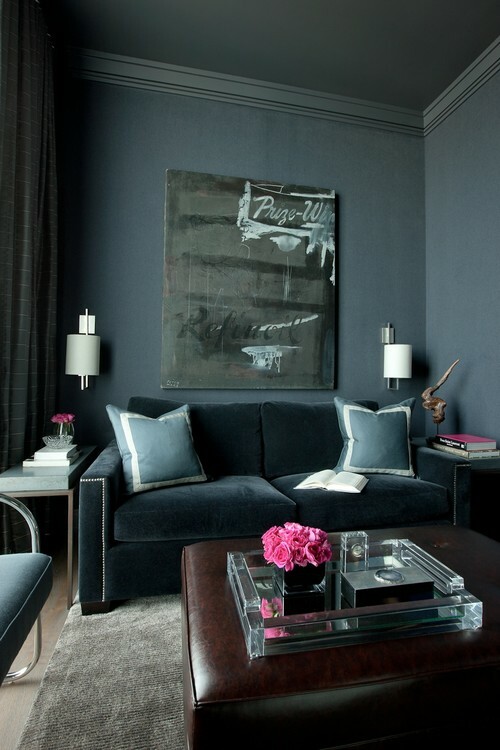 This gorgeously gray living room, with its velvety flat walls (don’t you want to touch them?) and lush textures (that couch!) provide just enough light to let those gorgeous pops of pink absolutely glow. And they are perfectly at home being the center of attention, even if they aren’t in the middle of the room. Bring on the deep thoughts. The first time we saw this living room, we instantly sank into a long, deep breath. Perfectly grounded, this Boston study grounds the fireplace and trim work deep into the far wall, while pulling in the black-trimmed windows and stair railing. While the ceiling stays a stark white, the remaining neutrals warm up the room in the coziest of ways. Cooking on a dark canvas. While most of us would shy away from such a bold use of black and gray, this kitchen directs attention with an elegant, yet commanding, nod. Instead of seeing the cabinets, your eyes are pulled to the backsplash, where chrome appliances bounce light around the room like an exciting sing-along. Lights, stools, lemons—everything works together to make the room inviting instead of sterile and cold. We’ve all heard that painting ceilings a dark color in a short room is a huge no-no as it makes the ceiling feel closer than it is. But in the case of this bathroom, it couldn’t be more perfect. 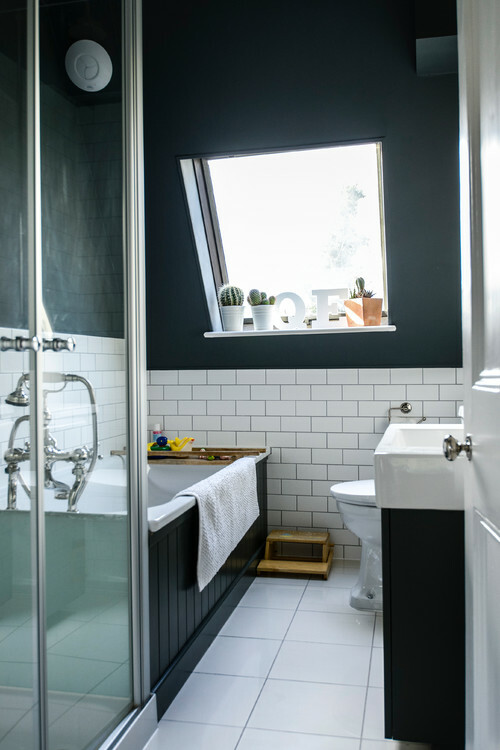 The white subway tiles, accented by black grout, pull the ceiling and surrounding walls down into the room. It gives the impression that you’re bathing right under the stars, worlds away yet still within reach of your towel. If blacks and grays are a little too dramatic for your taste, there are still plenty of rich colors to choose from that can take a nod from any number of furnishings, paintings, and fabrics already in your home. Will you be going off the deep end this year? Share your transformations in the comments!